At the corner of the Wall Street Plaza. 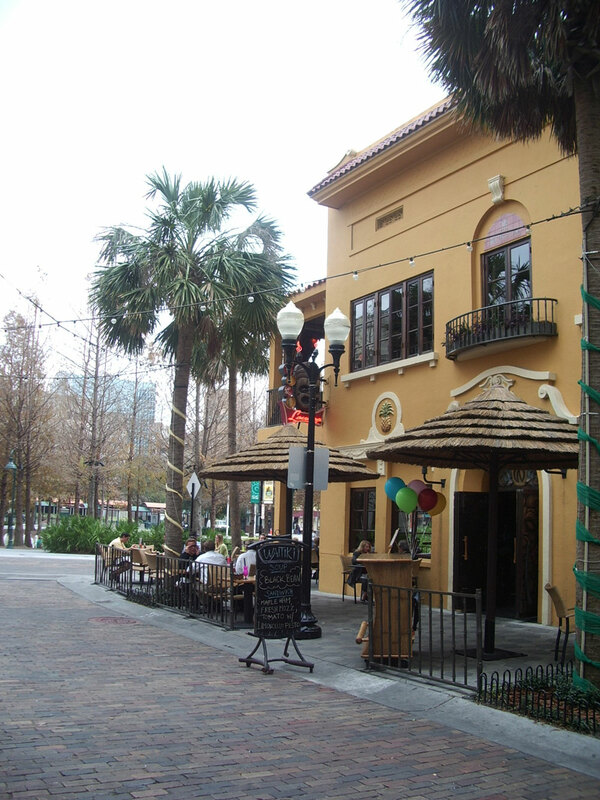 Visit this Polynesian paradise for a sample of some of tastiest tropical rum mixtures Orlando has to offer. Try Pat's Rum Punch Drunk made with 7 different rums and 5 different tropical juices, or their Dark and Stormy made with Gosslings dark rum and ginger beer, topped with a lime. Margaritas, mojitos, hard lemonade and hurricanes - all are served right here, along with imports, domestics, and house wine. If you're out with friends, get a Phucket Bucket. This Floridian specialty includes a beach bucket filled with potent Rum Punch. Apart from stellar drinks, Waitiki also has a gratifying menu. Fish sandwiches, tacos and savory appetizers are sure to satisfy your every craving. If you're up for a challenge, The Humunga Kawabunga X 2 is double order of the burger and fries entree of the same name. If you eat it in 25 minutes or less, it's free! You also get your picture on Waitiki's wall of fame. 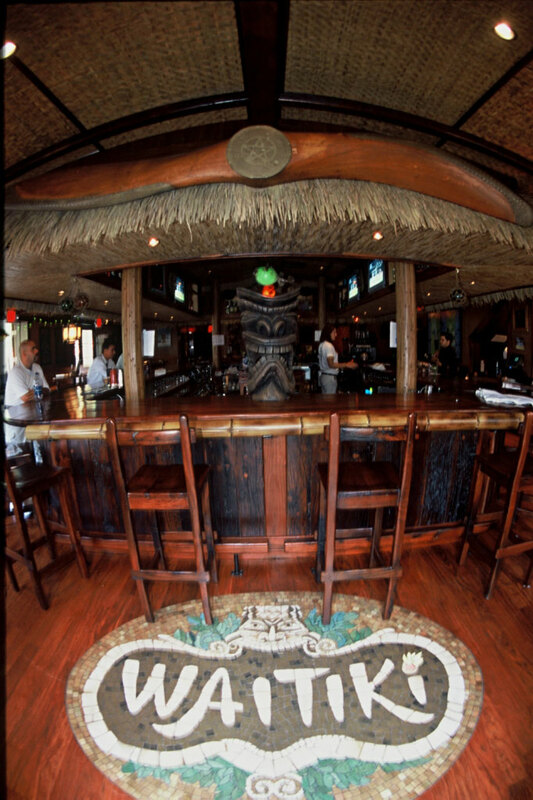 Waitiki is located at the corner of the Wall Street Plaza next to the Other Bar.